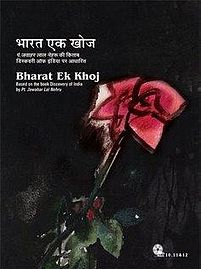 Episode #15 of Hindi TV Serial Bharat Ek Khoj (which was aired on DoorDarshan and now is available as a set of DVD for home viewing); explores the seonc segment of the Sangam period mainly through exploration of Silappadikaram. Read our views about the first segment of Silappadikaram here. This episode explores the way of living and folk traditions of various areas of Southern India during the Sangam period. If you pay attention towards various conversations you will be able to explore the way of living and thinking of people during the same. Folk dances and plays were integral part of that time. Folk songs and dances used to give people a chance to catch some entertainment and enjoy various events. Each major event (for example welcoming the first rain, seeding new corp, welcoming the spring,…) and festival have various traditional customs associated with it. It was the when kings used rule in Southern India also. Kings were expected to have an unbiased and pure judiciary system which was able to provide justice to every citizen. Silapaddirakam is a good way to explore the way of living during those times. It also explores the fact that the “Jain” way of thinking was started spreading in Souther Indian as well. Curse of a saint was considered seriously. Remote places were not having proper roads during those days and major cities were considered as a place opportunities. The city of Madurai plays a vital role in this tale. Though you may not find it glorious these days, but the sets authentically explores the plans of city and homes during those days. The markets, roads, palace, clothing, ornaments and many such things are portrayed nicely. Various songs and folklores sung by the expert singers in typical tone and the musicians gave them the authentic South Indian touch. Silappadikaram states the theory of Karma and fate. The message is one has to pay for the wrongdoings and the good Karma pays off too. The episode also explores the fact that, one need a genuine companion, who stood by him or her through the good and bad times. Also the faithfulness is a very important attribute of the relationship and one has to be true to it, despite of having temptations. Kannagi and Kovalan can be considered as metaphors of the people with respective attributes. Of course, when we talk about folklores, we found some superficial and hypothetical stuff integrated within them. But that is something we found even in modern day fantasy literature, TV Shows, Movies and other media too. The episode explores that the people were able to express their disappointment against the judgement of the kings and challenge them for the same. This freedom of expression is an attribute of democracy. Thus we can say that there were the kings who were not the dictators, but used to work as administrators, and does their duty to look after well being of their citizens. In the commentary, you will find about how Kannagi moves ahead after the tragic incident happened to her. The burning of the city of Madurai is not shown in the episode, but is integral part of the tale. There was one other TV serial aired on Doordarshan during old days, which explore Silappadikaram in detail. Overall, the episode remains true to the content and in addition to explore the story it focuses on exploring the way of living and mindset of the people of Southern part of India during the Sangam period. The episode could have been more effective if a short summary of moral, ethical and wisdom messages from this tale is added to it. The chances are there that you may not relate to the content while living in the modern time, but, it surely provides a way to learn about the Sangam period. The script writer remain faithful to the content and director succeed in exploring it according to his vision. The background music has the needed South Indian flavour. The sets are quite simple and nearest to the realistic. Pallavi Joshi is top performing actor of this episode. The visuals are appealing. Overall a nice episode. It is found interesting by those who love to explore, history, literature and social aspects and customs of ancient times; others may not find it very appealing. But in terms of quality of content, it is definitely worth to go for.